Reeves DiVenere Wright handles a wide variety of claims in which people have suffered personal injury or death through no fault of their own. We are aggressive advocates for the injured; we do not represent insurance companies, corporations or wrongdoers who cause personal injury to others. Why should I choose Reeves DiVenere Wright? Reeves DiVenere Wright are experienced and compassionate personal injury attorneys who care. We are located in the high country of North Carolina and serve the surrounding areas. Contact us. We have a long record of obtaining excellent results for our clients. What types of personal injury cases does Reeves DiVenere Wright handle? 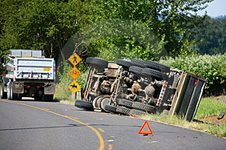 Many different types, including: Accidental Death; Animal Bites and Dog Bites; Auto Accidents; Bicycle Accidents; Bus and School Bus Accidents; Defective Products or Services; Drunk Driving Accidents and Injuries; Traumatic Brain Injuries; Medical Negligence, Motorcycle Accidents; Pedestrian Accidents; Slip and Fall Injuries; Tractor Trailer Accidents; Wrongful Death. Determining the strength of your case requires legal expertise. Contact us for a free consultation about your personal injury case. If we can’t meet your specific legal needs, we will tell you so and will offer to refer you to another firm which might be of help to you. Yes, the attorney-client privilege means that your communication with us is confidential – even in the event you don’t hire us. Every state has a limitation of time within which a personal injury claim must be made. In North Carolina, this limit is generally three years from the date of the accident or injury. However, there are some special exceptions to this rule so it is important for you to determine what time limitation applies to the facts of your case. If the claim is not settled or suit filed within the correct time limitation, the injured person’s claim may be barred forever. Does North Carolina law require all motor vehicles to be insured? There is no fee for an initial consultation regarding personal injury or workers compensation cases.